If a picture is worth a thousand words, a fifty-page photo book can tell a lot about ITER. 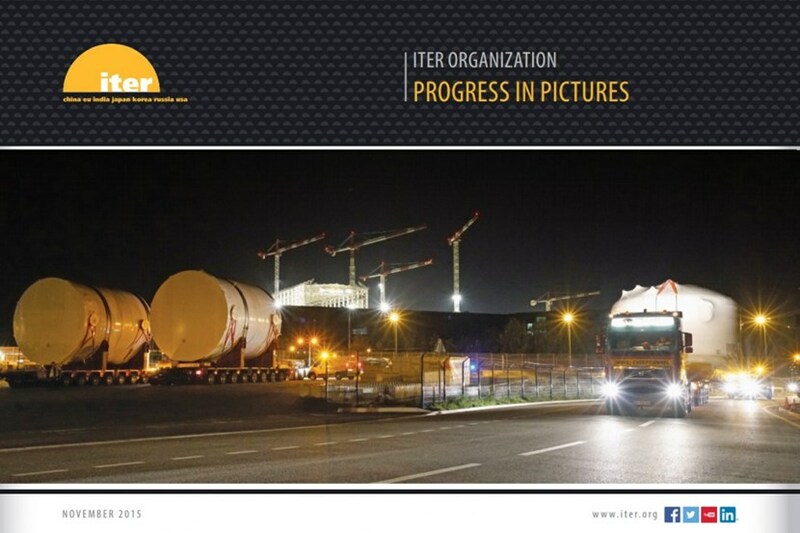 With the project now engaged full speed in construction and manufacturing, the 2015 edition of the Progress in Pictures photo book offers a panoramic view of what is happening on the ITER construction site in Saint-Paul-lez-Durance, France, and in the factories of the project's Members throughout the world. Produced in collaboration with the seven ITER Domestic Agencies, the photo book is renewed annually to document ITER progress. View or download the 2015 edition here.